There are so many beautiful wedding venues in NE Ohio. One of which is the Greystone Hall, which is located in downtown Akron, Ohio. Greystone Hall has an absolutely gorgeous ballroom...it's ornate and stunning. 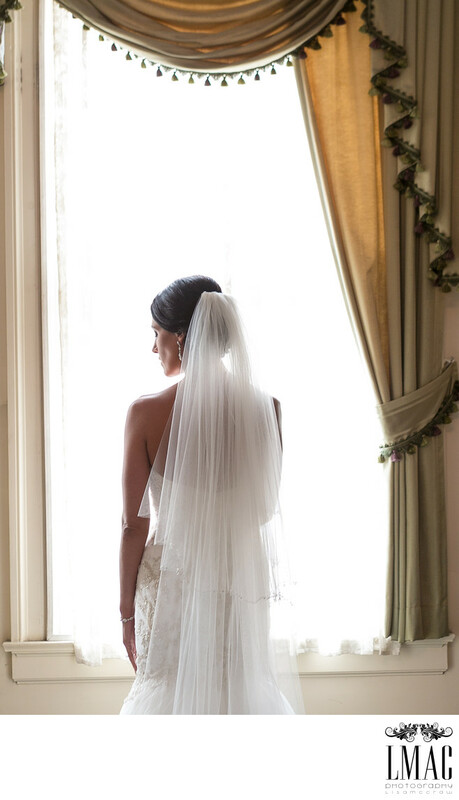 This bridal portrait was photographed in one of the upstairs getting ready rooms from the wedding of Andrew and Kristen. Andrew and Kristen live in Chicago but their heart belongs to Akron. They also selected some great outdoor Akron photo locations such as Lock 3 and The University of Akron, where they first met. LMAC Photography always encourages brides and grooms to select locations that are meaningful to them as a couple for their wedding photography. We were so thrilled to be a part of this beautiful wedding and to provide them with beautiful wedding photography. Location: 103 S High St, Akron, OH 44308.